Experience the thrill of flying above the water! Perfect place to learn and enjoy Kite surfing First of all I have to say Javier and his guys are like a family. The clear focus of this school is to get you into kite surfing and enjoy this sport. The school has really new equipment and if you... read more are new to this sport like me, they take the time to explain you everything step-by-step. Furthermore, they answer you any question around kite surfing and Manta as well. In the evenings you can hang around in the school and enjoy a cold drink. Top Kitesurf Schule! 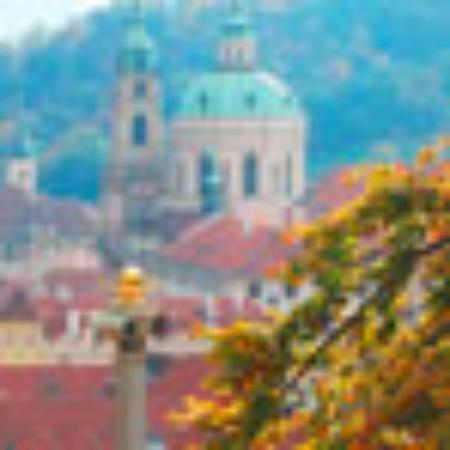 Ich habe einen 4 Std Kurs bei Javier und Mike belegt und am Ende konnte ich selber fahren! Die beiden geben wirklich super Unterricht – sowohl auf Spanisch als auch Englisch – und man lernt sehr viel.... read more Besonders Wert wird auf den sicheren Umgang mit dem Kite und im Wasser gelegt. Die Atmosphaere in der Schule ist super entspannt und nach einem Tag kiten sitzen alle noch zusammen und geniessen den Sonnenuntergang. Das genutzte Equipment ist von North und nur das allerneuste. Javie is an incredible teacher and friend. Spent 3 weeks kiting with him couldn't have asked for a better teacher 😃 beautiful place, great equipment, strong winds and good vibes! Best Kite Surfing teacher I had kite surfing lessons in the past, but they didn’t scratch the surface. 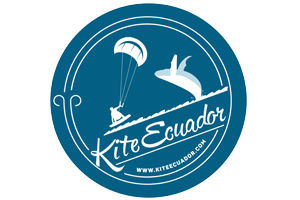 Kite Ecuador tutor Javier is excellent at guiding you, is patient and very intuitive. 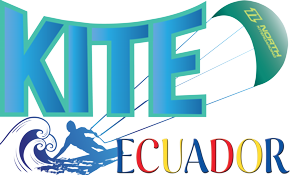 Welcome to KiteEcuador.com, the top-rated Kitesurfing School in Ecuador! Our school offers Kitesurfing and Kiteboarding lessons, along with SUP (Stand Up Paddle) and Surfing lessons! We are located on Playa Bonita, Santa Marianita, on a beautiful and quiet 1.7km stretch of sandy beach, the best place to learn to Kitesurf! Kitesurfing is a fun and adrenaline filled sport of gliding, jumping, riding and flying with the elements of nature, the wind, the ocean and the sky! Learning to kiteboard is an adventure that can be enjoyed by students of all ages. 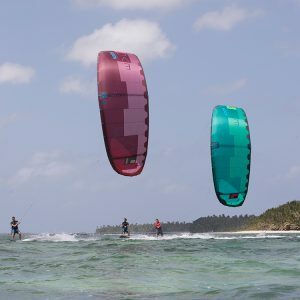 It might look intimidating at first, but kiteboarding is a sport that can be learned by any active and willing person! Three to four days of instruction in good conditions, and you will know the basics! With a few more days of practice, you will be riding across the water with ease. For more advanced kiters, you can learn foilboarding! This is the latest craze in the Kitesurfing world. We recommend that you be comfortable riding up-wind and landing small jumps before learning to ride a foil board. Our foil-boarding lessons are the perfect next-step for adrenaline junkies. 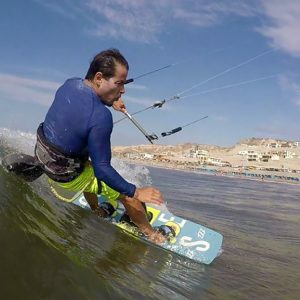 Our head instructor is Javier Negrete, and he has been kiteboarding the waves of Santa Marianita for more than twelve years. He is well-known for his love of teaching and his methodical and easy to follow teaching plans. Our students frequently note Javier’s attention to safety and his ability to make them feel comfortable while learning to Kitesurf. Kitesurfing and Kiteboarding lesson packages are available starting at $70 (cash/PayPal) for a two-hour introductory class. If you love it, you can upgrade to our 8 or 12-hour free ride independent courses that will get you up on the board and well on your way to becoming an independent kitesurfer. You will be IKO certified and able to rent kitesurfing gear at any IKO school in the world to enjoy. 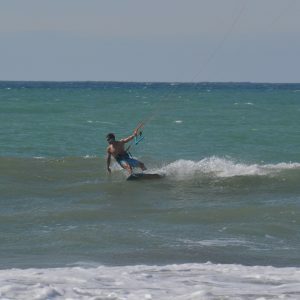 If you are already a kitesurfer, Kite Ecuador offers gear rental packages from $15/hr. We have brand new (2018) top of the line equipment from North Kiteboarding and ION. We have kites from 9 M to 18 M available, so we have you covered whether the wind is light or very strong. We offer rental packages from 1 hour to 7 days. If you need a refresher course before hitting the water on your own, we have assistant instructors and supervisors available starting at $10 / hr. 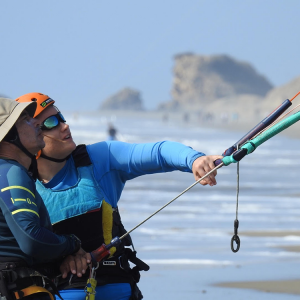 They will help you set up your gear, launch the kite, and help you ride upwind if you’re not yet able to do so on your own! They will also give you some tips to improve your ability. During the low-wind season (only 2-3 months here in Santa Marianita) you can learn to Stand Up Paddle! This is a fun sport that can be practiced anywhere in the world. You can learn in just 2 hours, and enjoy the calm water in the mornings while watching the birds dive for fish! SUP is great exercise, as it involves arms, legs, and core muscles. People of all ages can learn and enjoy Stand Up Paddling, and SUP can be practiced year around. 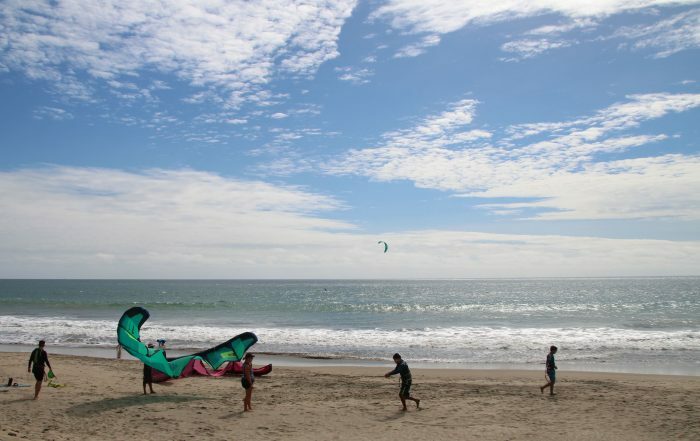 If you’re a surfer, the instructors at Kite Ecuador can take you on an adventure. Santa Marianita’s waves aren’t the best for surfing in general, but we can show you the best places to go closeby! Our favorite is San Mateo, where surfing can be enjoyed most of the year! Where to stay in Santa Marianita? We have partnered with the best hostels, hotels, and guesthouses on the beach, and can offer accommodations starting at only $10 per night for a dorm! Private rooms start at $20 per night, and FREE accommodations are available with some of our lesson and rental packages. Please message us for details. Our partner accommodations include the Villa at EcuaBlue, VillaKite Hotel, Hospedaje Don Willy, and Donkey Den Guesthouse. If you’re traveling on a budget, you can consider applying for our Volunteer program! The volunteer program at Kite Ecuador and Shawarma & Shots Restaurant and Bar offers travelers the chance to trade their skills for a place to stay, or a tab at the restaurant and bar. We are always looking for help, so if you are coming to the area write us to see if we have any opportunities available. 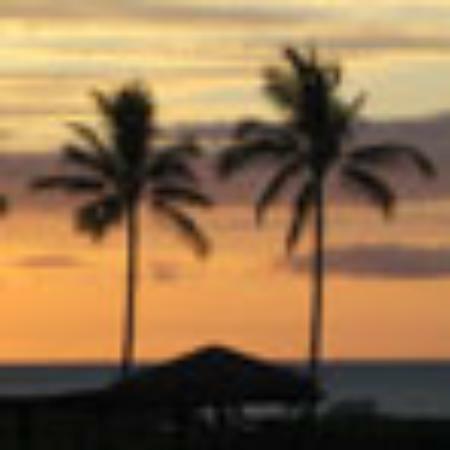 We can always use help with bartending, serving, sales on the beach and surf and sup instruction/guide. You may be qualified to train as a kitesurfing instructor, so you can keep traveling while making money teaching this great sport. Volunteering is a great way to extend your vacation when the budget is getting low!